If Christians can refuse to bake cakes, can Satanists refuse to wait for an abortion? Friendly Atheist Hemant Mehta talks with Lucien Greaves about the case at Missouri’s Supreme Court. Can a university expel a student for a racist rant? The ACLU says no in a case from Alabama, at IHE. Indian evangelicals and the changing face of the American megachurch, by Prema Kurien at R&P. “Truth Decay:” Chester Finn spreads the blame for fake news beyond civic ed, at Flypaper. Fundamentalists were right! College really does endanger children’s faith, at IHE. How this fits in with the history of evangelical higher ed, here at ILYBYGTH. Texas judge says God told him to interfere with a jury, at Americans United. What do Americans “know” about evolution? Glenn Branch reviews the latest numbers, at NCSE. Online School of Tomorrow closes today, leaving Ohio students scrambling, at CPD. Want to earn millions? Resign in scandal from presidency of Michigan State, at IHE. Curmudgucrat Peter Greene on the difficulties of healing the country’s racist past. Should evangelicals defend Trump? Mark Galli critiques court evangelicals, at CT. The quandary: Conservative intellectuals in the Age of Trump, at WaPo. What makes Ben Shapiro tick? At Slate. What is a conservative Christian to do? The US Supreme Court’s decision in favor of gay marriage has sent shock waves across America. Will conservative Christians accept this decision? Or, as some have warned, does this move our culture war over sexuality one step closer to real war? Of particular interest at ILYBYGTH these days, the new ruling will likely meet its first test at conservative religious colleges. As we’ve noted (and as the New York Times eventually noticed) the SCOTUS ruling has brought up questions about the limits of acceptable dissent in higher ed. 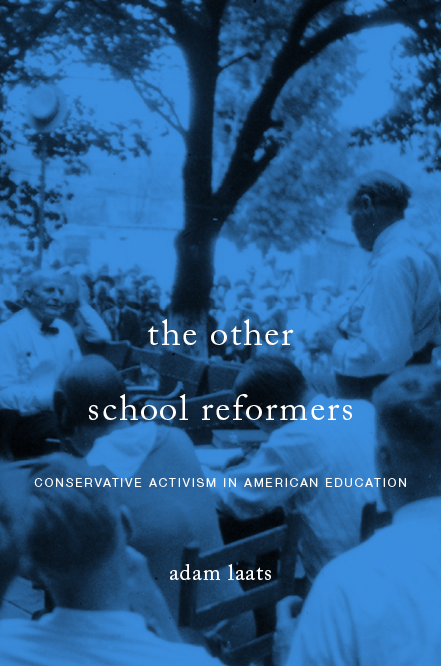 Can schools discriminate against homosexual “practice?” As I’m writing about in my current book, the same tension played out in the 1970s, when Bob Jones University insisted on its religious right to racial discrimination. It seems colleges will be the first institutions to feel pressure to accommodate demands to end institutional discrimination against homosexuals. we will disobey; we will disrespect this decision. . . . We’ll treat it like Dred Scott and other decisions courts have handed down over the years that counter natural law. God made a male and a female, and no amount of surgery is going to change that. I think today’s decision is just one more step in the marginalization of conservative Christians. I made this argument and have been ridiculed for doing so, but I think it is very legitimate. The Nazis did not take the Jews to the crematoriums immediately. . . . The German people would not have put up with that. Instead, the Nazis begin to marginalize the Jewish people, make them objects of contempt and ridicule. Once they changed the public opinion about the Jewish people, then they engaged the [Holocaust]. . . . Once secularists have made Christians objects of contempt, I think it will be very easy to revoke other rights that they have as American citizens. and the chance for moral courage and a life daring to be countercultural is at hand. By continuing to speak up for religious freedom, the restoration of a marriage culture, and dignity of the family in the face of potential setbacks at the Supreme Court, we can become the Nietzscheans who hammer the libertine and atomistic idols of our age. Secular folks like me, progressive people who celebrate the SCOTUS decision, might blanch at these dire warnings. Some of my friends and colleagues might take these statements as proof that conservative Christians will never admit to marriage equality. But folks like us need to listen also to the other voices of conservative Christians. is to go off and sulk in our holy corner. Or to dig in our heels and fight harder. Or to lash out in anger. Or to despair. We can do better. If we are to make sense of the culture-war rhetoric surrounding this SCOTUS decision, we need at least to remember some historical precedent. As I’ve argued elsewhere, for generations evangelical Christians have been battered by landmark SCOTUS decisions that seem to kick them out of public life. In every case, evangelical pundits have insisted that each new SCOTUS decision changed America from a Christian nation to a persecuting Babylon. In every case, however, evangelicals have continued to wield enormous cultural and political power. Will this decision be any different? Will this decision really change the balance of power in America’s continuing culture-war debates?